The divorce rate in America is so high, it reminds me of Annie, the maid on “It’s a Wonderful Live”, who had been saving up money for years for “a devorce if’n I ever get a husband.” So many people go into marriage with the attitude of it being disposable. Ready to divorce their spouse as the least provocation. As if expecting the marriage to fail. I HATE divorce and I HATE that I am one of those divorce statistics! Now that we have established, once again, that I fail to meet His standards, let’s see what Jesus had to say on this subject in His teachings on the mountain that day. Jesus’ first comment is to reference the Law given through Moses and how it deals with divorce. In the Law the man was allowed to divorce the wife if “she finds no favor in his eyes because he has found some indecency in her” (Deut. 24:1). He is to give her a letter of divorcement and send her on her way. She can marry again but never remarry to the husband who gave her the divorce in the first place. Three points I find interesting here are: 1) She also has no recourse if he finds no favor in her eyes for whatever cause; 2) The Law doesn’t spell out what “indecency” means and its limitations; and 3) The “finds no favor” clause is so vague that anything could be used under that heading. Jesus closed the huge loopholes of “indecency” and “finds no favor” in the Law that had been being exploited by the people. 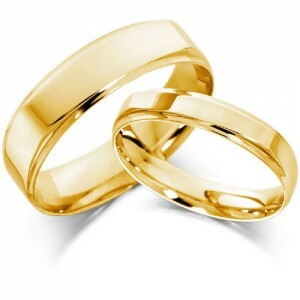 Jesus states that the ONLY grounds for divorce is “sexual immorality” (verse 32). I’m going to say that He was, more than likely, referring to sexual immorality on the woman’s part and not the man’s. Women, in Jesus’ time were still treated as property and had no rights. Even in the story (John 8:1-11) where the woman caught in the very act of adultery was brought before Jesus, the man was conspicuously absent! I was just shown how He cared about the woman in this exchange, even if her society technically didn’t. He told the man that in his desire to be free from his wife that HE (the husband) would be causing HER (the wife) to break one of God’s direct commandments if he went through with the divorce. If she had committed an act of sexual immorality, she would be receiving her just punishment. But if she hadn’t, she would still be treated as if she had by society and under God’s law. He was telling the husband to be certain of the facts before ruining his wife’s reputation and ultimately her life. Jesus also held the man accountable for his behavior and labeled him as an adulterer. Previously, if a man married a divorced woman he didn’t suffer any stigma through the Law or society. NOW Jesus says that man is guilty of adultery if he marries a divorced woman. Using Jesus’ standards for divorce, any divorced woman was guilty of sexual sin, either explicitly or implicitly, and the man marring her would be bringing that sin into his own bed and therefore be guilty of the same sin himself. I applaud Jesus’ move to make the husband more responsible for the wife’s future and for holding the men to the same standards. However, I wonder how the unjustly divorced woman in this equation felt. She is now labeled an “adulterous woman” by society and God. She is unsuitable for any kind of future marriage arrangement. This is the same fate Mary, the mother of Jesus, would have faced if it were not for God’s intervention. Jesus’ message that day seems harsh by our standards but it reflected His Father’s heart. In Malachi 2:16, God says, “I hate divorce.” God intended marriage to be a lifelong commitment where the two became one (Gen. 2:24). But because of our sinful nature, He provided an exception to this commitment through the Law (Deut. 24:1-4). So where does that leave me and so many others in my same boat? I struggled with this for a LONG time! I didn’t ask for the divorce and was powerless to stop it. Kind of like the wife under the Old Testament Law. I did NOT commit sexual sin to justify my husband’s divorcing me either. My justification clause came from Paul’s teachings in 1 Corinthians 7:15. Because my husband was not a believer in Christ, I was free when HE walked away from our marriage. This still doesn’t make me feel any better about divorce or being divorced, but it does help me sleep a little better at night. What made the real difference though, is knowing that I have a gracious God and that no matter how badly I mess up, He still loves me. Thank You God that You sent Jesus to die for my sins and opened the way for Your grace to be poured out. I NEED Your grace! I also need Your peace. Thank You for Your forgiveness for the part I played in my divorce. I KNOW I am not innocent of all blame in the destruction of my marriage relationship. I pray that the healing You authored in me between then and now keeps me from making the same mistakes again. Thank You for the grace and love You poured out on me when You brought me into my new marriage relationship. I know it is not perfect either, but I trust You to work with BOTH of us to make this marriage a lifelong love story. And, as with any REAL love story, help us choose love above all else. I wanted to share a Youtube video with you about a Chinese proverb concerning marriage and the ring finger. When watching this video and trying the experiment myself I noticed something. In order to separate the ring fingers, representing you and your spouse, you have to tear apart the self in the process. That is EXACTLY what divorce does to everyone involved. Great job sis. I just read this to your Daddy and he loves it as much as I do. Keep up the good work. I’m glad you shared it with Daddy. This was a hard one for me to write because I still feel the failure of my first marriage. I wish I could say I had a marriage like yours that has lasted a lifetime, even in the tough times. I know God has forgiven me already and so I need to too. This one hits a achy spot in my heart that I ‘may’ one day have to deal with…but for now I’m choosing to simply allow to place limitations on my future. As a widow, the common thought is that I should be free to remarry as I choose. However, previous to my widowhood I was married and divorced twice. According to the Church, in order to be eligible to remarry, each of those two previous marriages would have to be examined to determine whether they were Sacramental marriages, or if there was something about them that would have kept them from rising to the level of being a Sacrament of Holy Matrimony. When I look at the each marriage in comparison to the requirements the Church places on the Sacrament, I can easily see where each of them fell short: My first marriage took place when I was too young to even sign a legally binding contract–and truth be told, my parent that signed on my behalf encouraged me to go through with it even though I was having second thoughts; my second marriage was to someone who proclaimed there was not room in the same house for him and God. Neither of those marriage would stand up to the scrutiny of the Church and annulments could be easily granted. I know in my heart that to annul my first marriage would be devastating to the fragile mental balance of my first husband–and I don’t want to be responsible for destroying him. Therefore I have chosen to remain unmarried after widowhood, even though it will mean growing old alone. That breaks my heart–but I choose the pain for myself rather than inflicting it on him…at least for now. If, one day, Our Lord chooses to bring someone really special into my life, I may find myself making a different choice. But unless that happens I will live with the choice I have made. That is an amazing gift you are bestowing on him. Knowing him personally, I don’t know if I could show the mercy you are showing. I pray that you DON’T grow old alone. Not saying that you have to remarry, but that you at least have friends that are so close you never feel alone. When I was divorcing I was asked if I wanted to take back my maiden name. I chose to keep his name because I felt like I would be telling my children that they were a mistake and I was divorcing them too. When I remarried and took my current husband’s name it was painful because I felt it was distancing myself from my children. If I didn’t take my husband’s name I would be placing my children as a wedge between us. Rock and a hard place. Thank you, Annette. I do have close friends living nearby whom I consider ‘family.’ But the older I get; the more aches and pains increase; the more limited I feel in doing the things required to keep my house in order. Most days I’m fine…but there are days that I feel incredibly lonely. Am grateful to Jesus for His ever-Presence–especially on those days.